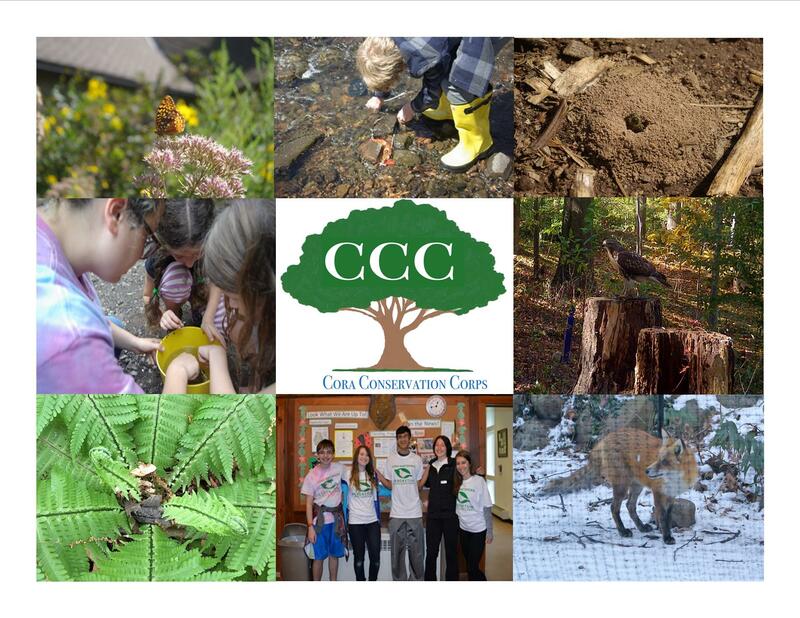 Cora’s Conservation Corps is a high school service based program where teens participate in four major activities; environmental education, forest conservation, citizen science, and volunteerism. Through these activities individuals develop leadership skills, fine tune public speaking skills and get hands-on experience they wouldn’t obtain until college. Interested teens can join the program either in the winter or the summer and during any part of their high school career. Cora’s Conservation Corps is an open-ended program. As long as the participant is in high school, they can remain in the program for as long as they want. Engage in year-long ecological field studies on our grounds. Assist and eventually lead various environmental education programs. Learn basic animal husbandry techniques. Participate in well-known national citizen science projects. Must be able to attend orientation and training sessions. Able to volunteer a minimum of 70 hrs a year. If you are interested in joining the program, please submit a Cora’s Conservation Corps Application along with a one page essay explaining why you want to volunteer and how volunteering with us will help with your future aspirations. Send applications to info@hartshornarboretum.org. Once your application is submitted you will be contacted to set up an interview.